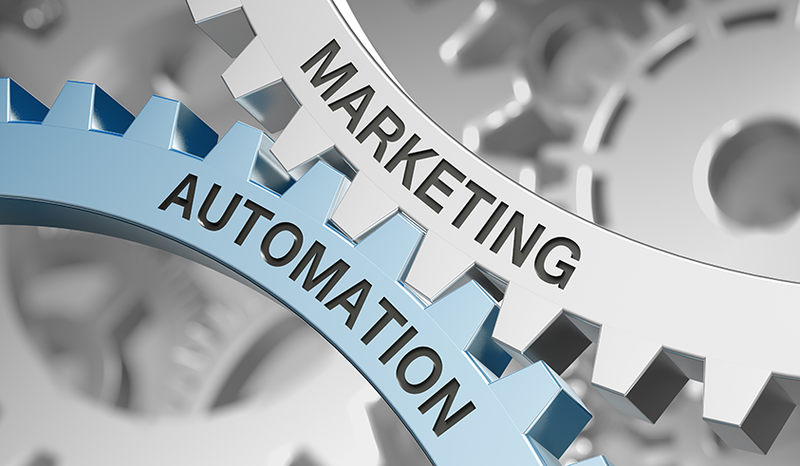 Marketing automation refers to software technology that gives organizations the ability to simplify and automate marketing tasks, especially repetitive tasks such as sending out emails, updating social media, and managing landing page sign-ups. By automating such tasks, organizations can increase the efficiency with which they operate and accelerate their revenue growth. Both business-to- business (B2B) and business-to-consumer (B2C) organizations use marketing automation software to streamline marketing processes such as lead generation, nurturing, and scoring; customer retention; and measurement of return on marketing investment (ROMI). Marketing automation is useful to large organizations, as well as small and medium-sized businesses (SMBs). These organizations, regardless of size, are spread across all kinds of industries from technology, manufacturing, and financial services to media, healthcare, and food services. In today’s fast-paced and ever-changing digital age, organizations cannot afford to ignore marketing automation if they wish to be successful and remain competitive. Marketing automation can play a vital role in effective email marketing, but it should not be exploited to spam present or potential customers. When used right, marketing automation can organically connect organizations with the customers they need to deliver truly remarkable marketing results. Marketing automation is not limited to one specific channel such as email. It covers marketing campaigns across a wide range of channels including direct mail, digital mail, cold calling, social projects, and mobile engagement. It is no Lone Ranger either, but works with customer relationship management (CRM), lead management, and web analytics systems that you already have in place, to maximize your marketing efforts. And although marketing automation primarily benefits an organization’s marketing department, it can also be of value to accounting and finance (which often sets the marketing department’s budget) and to sales (which often works in tandem with the marketing department). Key features of marketing automation are: email marketing, landing pages, campaign management, prediction and scoring, lead management, CRM integration, social marketing, and marketing analytics. When these features are automatically put into action, organizations will see higher conversion rates, an improvement in the productivity of marketing and sales staff, and perhaps best of all, an increase in revenue. Yes, marketing automation makes certain marketing tasks easier, but that does not mean you do not have to work alongside the technology. Marketers must set strategic goals and incorporate the right processes, people, data, content, and more in order for marketing automation to deliver the right results. You don’t need a hundred-member team or a million dollars to be successful with marketing automation. You just need an excellent strategy, engaging content, and enthusiastic people.